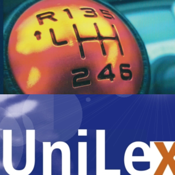 - in addition to the “classic” automotive areas such as engine, fuel system, power transmission, chassis, braking system, exhaust system, body, tyres and vehicle electrical systems, the dictionary also covers other areas such as greasing/tribology, bearings, testing, IT in vehicles, traffic and traffic control. Motorcycle and motor sports terms complete the topic areas treated. - automatic search for all occurences of your search term. Example: searching for "distance" will also find "absolute distance" and "zoned distance protection".